Bobbles Blog: Are We Nearly There Yet? The often heard cry from the back of the car, and the restless kids are really not helping matters, because at this juncture Dad has got us stuck in a traffic jam, and Mum is blaming Dad because he failed to follow the clear directions she had given him! You see, Dad’s know best, local knowledge, instinct and all that……! It was no different when we were kids, and some of my earliest memories were of sitting in the back of the car, surrounded by the baggage that wouldn’t fit in the boot of the Hillman Avenger, on our way to Skeggy! It was usually alright again when we arrived, because Grandma and Grandad would have almost always have arrived before us, setting off at dawn to beat the traffic, and we would be welcomed by their generous beaming smiles. Great days, great memories, and some of them, were made in Skegness. 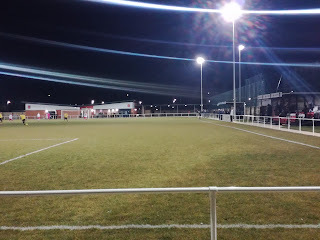 A couple of short breaks with the kids have also taken place over the years, and it was on one of those short breaks that I did what many football fans have done when they’ve gone to Skegness, found a pre-season friendly. 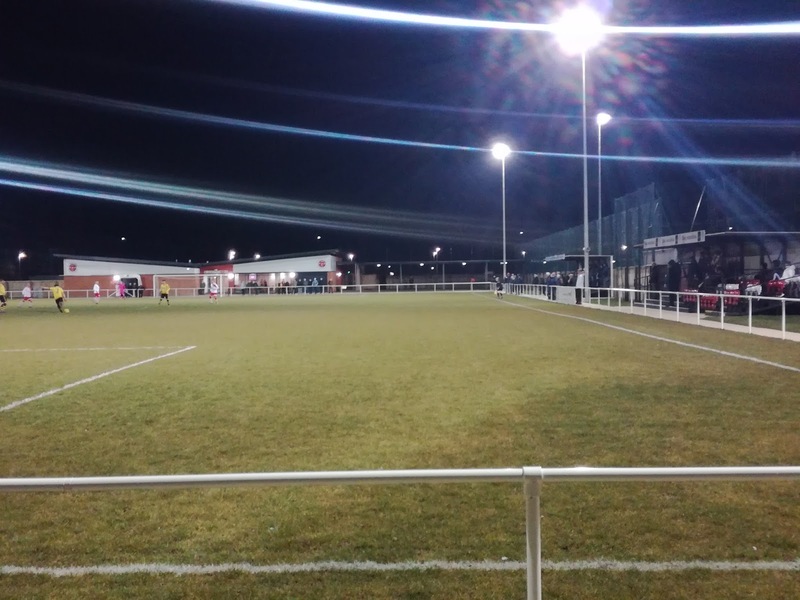 Both Nottingham Forest and Sheffield United have historically taken teams to play Skegness Town at the Burgh Road ground, and this worked well from a revenue perspective in the Summer months because a large proportion of holidaymakers are from the East Midlands and South Yorkshire. I didn’t get Forest or the Blades when I went, I got Peterborough Northern Star, and from memory, it was no money spinner for the Lilywhites! 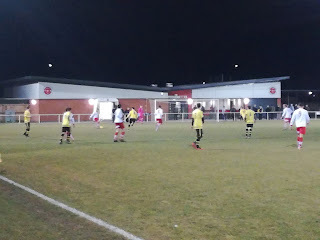 Growing up watching Belper Town in the Eighties, I missed out on games against Skegness Town. They were stalwarts of the Midland League from the Sixties right through to the early Eighties when it became the Northern Counties East League. 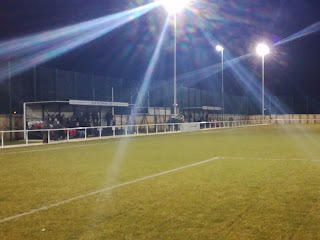 Always out on a limb somewhat, but a popular place for teams to visit for obvious reasons, depending on the time of year, they took the decision after just one season of the NCEL to resign. I suspect a lack of floodlights was the issue but I couldn’t say for certain. That resignation meant a return to local football in the form of the Lincolnshire League. Where they remain to this day. The old ground at Burgh Road was within easy walking distance of the centre of Skegness, and the Lilywhites Club at the ground claimed to sell the cheapest beer in the town. It was definitely cheaper than at Butlins, that I can vouch for! They had a stand on either side of the pitch, but when I went, they were down to just one structure on the road side. 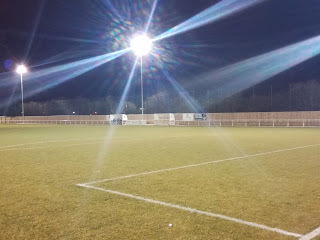 It was a tidy venue, and really should have been hosting better than local league football. For a few years now they have been rumoured and allegedly touted for a possible move into the Central Midlands League, but for whatever reason that hasn’t come to fruition. What has happened though is three things. Firstly, over the past four seasons they’ve won the league three times and finished runners-up once, so from a footballing perspective, you could argue that they are ready for the move. Secondly, the Lincolnshire League was elevated to Step 7 status which meant they could in effect bypass the Central Midlands League and take a place in either the Northern Counties East League, the United Counties League, or even the East Midlands Counties League. 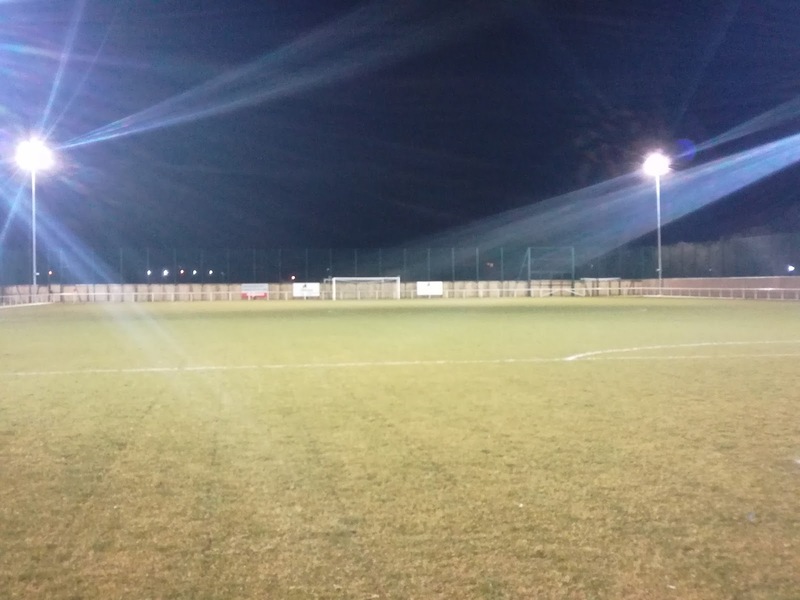 And finally, they’ve moved to a fantastic new ground called the Vertigo Stadium on Wainfleet Road, which sets them up perfectly for moving forward, something they inevitably will do at the end of this season, of that there is no secret. Having decided it was time to go and have a look, what’s the new ground like? 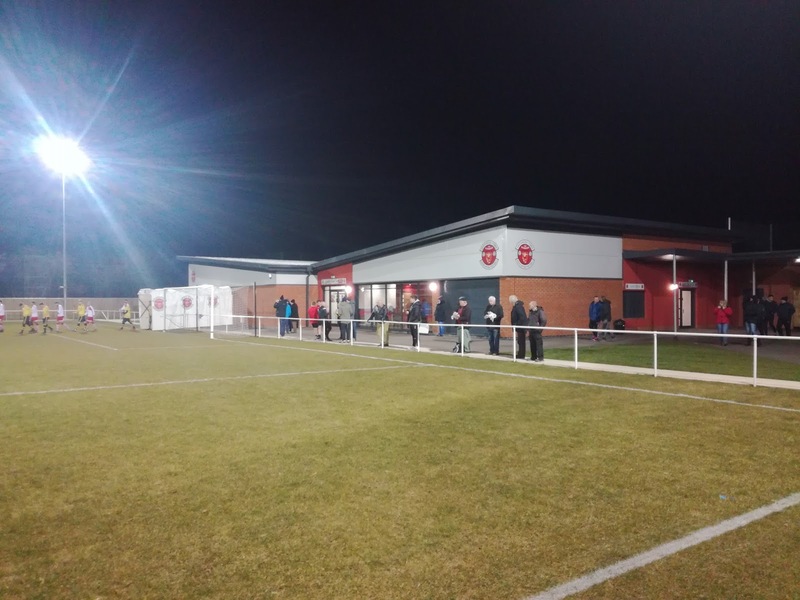 Very good indeed, located on the A52 a short distance from the town centre, it’s a new build which forms part of a larger complex that also includes the local rugby club and a 4G surface. 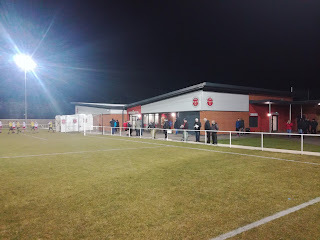 The clubhouse and changing facilities sit behind the goal, while looking to the left from the front of the clubhouse are two Atcost stands, both comprising of seats and terracing. The ground has full hard standing round the pitch, it’s completely enclosed and has very good floodlights. In fact it’s got everything they need for at least two, if not three jumps forward. They also get very good crowds, around 120 were in place for the game against Boston based Wyberton, and what they saw was a very accomplished performance by the hosts. A goalkeeping error saw Skeggy take the lead, only then for the hosts to go on and score twice more in a first half where they displayed their clinical prowess. Wyberton had a good spell in the early stages of the second period and pulled a goal back, but a late own goal and a penalty saw it finish 5-1 to the Lilywhites. Will Britton netted a hat-trick while George Hobbins was the man to score from the spot. The result moved them into fifth position in a league that only contains ten sides, but with games in hand, assuming of course they win them, it could end up being a tight finish with both Ruston Sports and Horncastle Town for the title. Of course Skegness want to win the league to cap promotion to Step 6, but ultimately it won’t matter, they are almost certain to go up irrespective. The FA are determined to fill Step 6 with suitable and progressive clubs, and if there is a club more suitable and progressive than Skegness Town, I’d like to know who they are! Are they nearly there yet? Pretty much I would say.